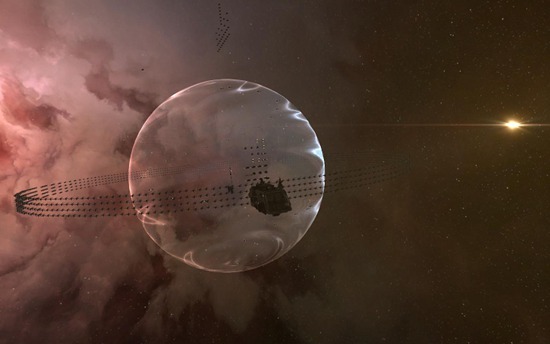 Wormhole space continues to offer riches and dangers to capsuleers new and old. It is not uncommon for squabbles over these lucrative pockets to break out, and one such fight seems to be brewing between Hard Knocks Inc. (HK) and No Holes Barred (NOHO). Wormhole space, or w-space, as it is known to many is largely unknown to many capsuleers. However there are large numbers of pilots who flock to the uncharted systems in search of wealth and fortune. Within the secluded systems ruled by ship-affecting anamolies and strange and powerful inhabitants, brave pilots look to seek out and bring back the technology found in the 'Sleeper' wrecks and abandoned stations. Many Corporations and even Alliances have made these systems their homes, taking control of these systems through force. This control can make some systems safer and some more dangerous to pilots passing through as they look to explore or find the wealth that lies within these systems. No Holes Barred took notice of their operations and has begun reinforcing and destroying towers belonging to Hard Knocks Citizens. Noobman, Director of Operations for Hard Knocks has stated that this is all because NOHO believes that Hard Knocks Citizens is a 'renter empire' and is therefore causing wormhole space to become less combative amongst capsuleer inhabitants. When asked if HK's mock renter empire mattered to NOH0, the Head Diplomat of No Holes Barred stated simply "Not at all". The diplomat continues, "NOHO has no real beef with HK though, we just like our C6 systems to be filled with more [combat oriented pilots]." This, however, has not stopped growing concerns from the side of Hard Knocks, who has already lost several systems of which were their main means of income According to Noobman, a coalition has begun to form against HK consisting of several capsuleer corporations which all reside within Class 6 Wormhole space. This coalition, according to Noobman includes; NOHO, Exit Strategy, Dropbears Anonymous, The Dark Space Initiative and, The Last Chancers. While this conflict is ongoing, it would seem to be natural that these conflicts would arise where power-blocks collide. The unwary traveler could very easily find themselves in space where the Sleepers are the least of their worries.